David Powers King: IWSG: Launching The New Year With My First Self-Published Book and Unemployment Pizza! IWSG: Launching The New Year With My First Self-Published Book and Unemployment Pizza! Happy New Year, fellow cosmonauts! I trust you had a great holiday? The bridge is up and running, and it's that time again! Special thanks to Alex J. Cavanaugh for creating and hosting the Insecure Writer's Support Group, a monthly forum for writers to share insecurities without fear of reprisal. Let's get insecure! Considering my best efforts, I was unable to find new employment before 2015 ended. However, 2016 is off to a few leads, which I hope will bear some awesome fruit in the coming weeks. It's also the year that I put out a self-published novel. In case you missed it, THE UNDEAD ROAD is up for Kindle, NOW, on Amazon! And if you have Kindle Unlimited, it's free! If you like zombie stories, or if you have friends who like zombie stories (heck, readers who don't like zombie stories are leaving awesome reviews for it), I ask that you check it out and spread the word. Until I find a new job, this book will be my sole source of income. That's crazy intense! As of last night, the paperback proof is ordered and pre-orders will go up when approved. Still looking at a Jan 26th release. This is where I need your help. If anyone is interested in letting me share some space on your blog for a week long promotional tour, that would be amazing. Please contact me here if you'd like the book information, an interview, guest post, the whole nine yards. Time to get back to work. Who knows where 2016 will take us, but I intend to make this a great year. And you'd be surprised how cheap it is to make your own pizza (Pizza the Hutt has nothing on my 14 inch recipe). Speaking of Hutts, The Force Awakens was awesome! How did the holidays treat you? What's your plan for the new year? What did you guys think of the new Star Wars movie? I'm aiming for more geek stuff on my site, so you know you are willing to visit! Keep praying for just the right job. I loved the new Star Wars movie and have seen it twice now. By any chance, did you get to watch the premiere of the Shannara Chronicles? If not, you can download the MTV app for free and catch the first four episodes online. I really liked it, even though there are many deviations from the book. Love hearing the progress on the Undead Road and I think the cover art is frickin' awesome. I hope that you get a lead on a job soon. It's so hard to make ends meet these days. Wishing you success with the job hunt and The Undead Road! I hope you find a job soon and your book sells well. I did enjoy the new Star Wars although I didn't love it. Congrats on the zombie book. I was working on a zombie-related novel last year, but then my computer utterly died and when I finally got a new one and recovered the Scrivener documents I was so discouraged by everything I started working on my other WIP, a starship novel. Which was going pretty well until my computer and my printer stopped being on speaking terms. Hope you find a job soon as well. It's tough having to deal with such things. Congrats on your self-published book! Zombies are awesome. I wish you much success...though you'll no doubt get it. :) Hope you find a new job soon. Hope those job leads pan out. I had to find another job near the end of last year and it was a bit worrying, to say the least. In the meantime, I hope you get much writing done. Have a Happy New Year! Congrats on the self-published book. I’d be happy to host you on my blog. I’m more Star Trek than Star Wars, but I did see the movie. I enjoyed it but probably would’ve liked it more if I didn’t had to watch it in the front row. Good luck with your job hunt. Hope your leads work out. Going to check out your book now. I hope you find new employment soon. Congratulations on the book! Wherever you are; there you are. Enjoy the lull between jobs. You'll be chasing your tail soon enough. Congrats on the book. I'll be checking it out. I'm booked out for the beginning of the year, but if you're up for a Halloweeny type spot, I'll ink you in for that now. Congrats on the book release! Hope you're able to find a job soon. I just know something will turn up soon and am crossing my fingers for you. What about Woven, is that not selling? Happy New Year David. Too bad about the job hunt not being over. I'll hope for something awesome soon, too. And congrats on the book! My sympathy on the job hunt, my Sweetie is still looking, too. Congratulations on the great reviews of your book, i hope it sells enough that you have no trouble until the new job comes through. Keep plugging away at the job thing. Many take off for the holidays and the market is super slow, but within the next few weeks, I'm sure lots will open! I should have some free time at the end of the month to help SPREAD the WORD... keep me posted! Good luck with the job search! Hope the zombie book is doing well. I LOVED the new Star Wars. A refreshing comeback compared to the most recent three. The less said about my holidays, the better. 2016 is shaping up to be a very interesting year if nothing else. Congratulations on your book release! Have not seen Star Wars yet. Congrats on your book. So sorry about the unemployment. Hope those leads come through for you. Congrats on your book, and I would love to help promote! I'll try your link. If you're uploaded on Ingram and can put you on our shelf at the bookstore. Also, If you're ever in San Francisco Books Inc. Marina would love to host an author event. My goal for 2016 is to find an agent for my MFA project and practice gratitude. Hope you get a job soon. 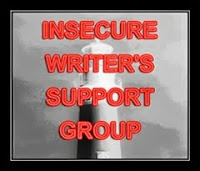 I feel more like writing when I'm employed (must be something to do with a guaranteed income, lol). My goal for 2016 is mostly just to write something every day - or almost every day. I just emailed you, would love to host you for your tour spot. Good luck in your job search - it's so stressful having to job hunt. And happy new year. Your job will come. Congratulations on your new book. I actually liked the new Star Wars movie so much that I went back to see it a second time, and haven't ruled out a third theater visit. Best of luck with your job hunt, and you're always welcomed to take over my blog for a day. I'll email you. Congrats on the new book! Sorry to hear about the job loss. The new cover looks great! I loved Star Wars!! Really hope the job hunt goes well for you. I'll be praying for your family, and I'd love your recipe! I hope your book does amazing well, too. You've got this! Congrats on your book! Wishing you the very best of luck in your job hunt :). I haven't seen Star Wars yet - I'm more excited for the new Tarantino film at the moment ;), but I will see it soon! Best of luck seeking new employment in the new year! Star Wars was quite good. Better than I expected from the trailer. Best of luck with the job search! A new year, a new job—it'll happen! And I really liked Star Wars—glad to see Disney keeping it alive! Best of luck in your job search. I was just there this time last year. I didn't find the perfect job but I did find one. I hope things work out for you too. Congrats on your new book! Still keeping everything crossed for your job hunt. New year means new opportunities. Great to hear that The Undead Road is already doing well. I'll be glad to help. The Force Awakens was a hit for me - just like the classic days! happy 2016 - here's to a prosperous new year! Here's to hoping those leads pave the way to a job offer. Also, congrats on the upcoming release. Please let me know if there is something I can do. I will put out some positive energy in your direction.